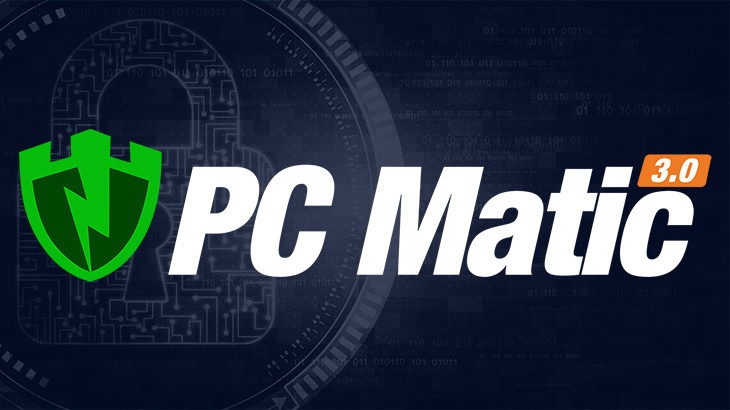 PC Matic 3.0 — What does this mean for PC Matic Pro and PC Matic MSP? PC Matic 3.0, the updated version of PC Matic, includes the ability for file-less ransomware detection. This software enhancement has been incorporated into all versions of PC Matic, including PC Matic Pro and PC Matic MSP. Users do not need to implement any specific settings, or change any of their options. The file-less ransomware detection will run automatically. The remaining updates for PC Matic 3.0 are all within the PC Matic user interface, for home users. Therefore, they do not impact PC Matic Pro or PC Matic MSP. Traditional malware, including ransomware, required an executable to infect PCs. The PC Matic whitelist was, and still is, effective in blocking malicious executable attacks. However, file-less ransomware is not initiated with an executable. Instead, malicious scripting is used. PC Matic has been conducting endless studies regarding the file-less ransomware infection process from beginning to end. By doing so, their developers were able to implement a solution within their program to effectively block file-less infections. This is the only security program that offers, not only a real-time, global whitelist solution, but protection from scripting attacks as well. How does PCMatic)#3 differ from the $50 PCMatic? Jane, PC Matic 3.0 is the same as the $50 PC Matic. PC Matic 3.0 is just an updated versions of the previous PC Matic (2.0). After downloading or purchasing from pcmatic.com you will see a 3.0 in the upper left corner of PC Matic. Is PC Matic 3 compatible on Android devices? It is. You can get it through the Google Play store.